Some people really like sweet chicken a lot. I am not one of these people, especially since I’m doing low carb high fat, and sweets are, well, carby. But also because sweet food in Jewish cuisine, is typically characteristic of Jews from Galicia. Jews from Lithuania, from whence my ancestors hale, tend to prefer savory dishes over sweet ones. But then again, even I get sick of the same old chicken recipes, not to mention, come Rosh Hashana, one needs to have at least one sweet chicken recipe in one’s repertoire. 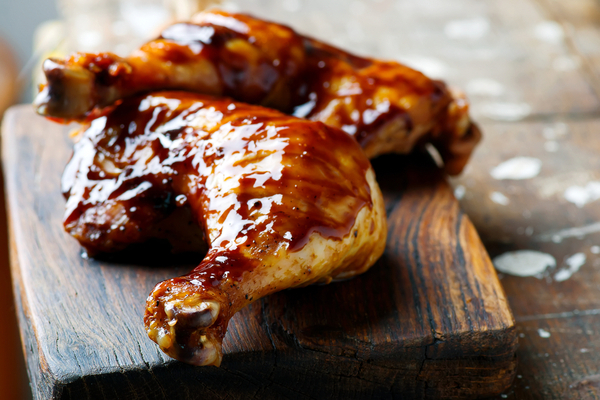 Hence, the following chicken recipe, which has a healthy bit of mustard and lemon, to cut the sweetness of the honey. That makes it tolerable, even for people like me. This is a good, no-fail recipe, that never fails to please. Season chicken pieces with salt and pepper. Broil lightly on both sides. Mix honey, mustard, and lemon juice. Brush onto chicken (skin side up). Bake for one hour. Serve alongside creamy mashed potatoes and a green vegetable for a wonderful meal.